The purpose of Storytelling in Higher Education is to encourage cooperation, networking, and support among college and university educators in storytelling and those with an interest in storytelling's success in higher education. SHE has focused on Global Storytelling for the past five years. During that time we have sponsored a number of workshops at the National Storytelling Festival and Florida Storycamp, a course through East Tennessee State University, a preconference at the National Storytelling Network 2012 conference co-sponsored with Youth, Education, and Storytelling!, and a special edition of Storytelling, Self, Society. In an age of transmigration and border-crossings, many academics and storytelling professionals have designed storytelling-exchanges as a way to broaden and deepen our participation in a global community. 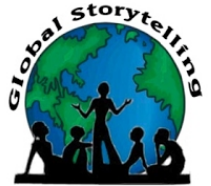 'Global Storytelling' has emerged as a term to identify individuals and projects that engage the act of storytelling to create culturally responsible interaction across borders. Storytelling in Higher Education (SHE) is a Special Interest Group of the National Storytelling Network.